When it comes to superhero cartoons on television, Batman: The Animated Series changed the game. 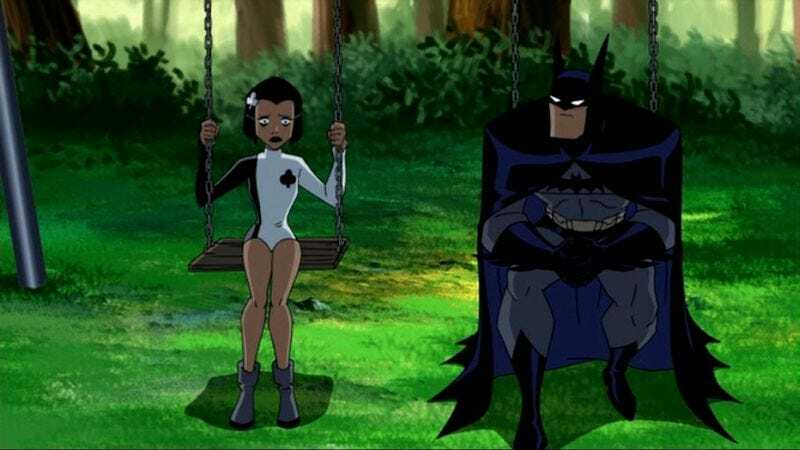 There were certainly cartoons already starring superhero characters, but none had been executed with the level of care and craft exhibited on a regular basis by Bruce Timm, Paul Dini, and the rest of the B:TAS production staff. The series produced captivating, character-centric stories balanced with a kid-friendly sense of fun, and the animation was often cinema quality, showing that just because a show was for kids didn’t mean that it had to cut any corners in terms of narrative or visuals. It opened the doors for the high-quality superhero series we have today, and “Epilogue” pays tribute to that legacy for a touching bookend to the DCAU in its entirety. It makes far more sense to cast Amanda Waller in the mad scientist role over Selina Kyle, who never did very much in B:TAS, and Timm and McDuffie tie the story to the larger Cadmus arc to make it a fitting end to the season, even if it spotlights Batman instead of the Justice League. One of the stars of this season has been Amanda Waller, so it’s great to see her get the spotlight in “Epilogue,” especially when it gives C.C.H. Pounder the opportunity to show the flexibility of her voice. We’ve seen Pounder play hard and scary, but 65 years in the future, Amanda Waller is frail, nostalgic, and a bit of a comedian. When Terry McGuinness confronts her to learn the truth about his past, The Wall’s not nervous, she’s just happy to have someone to spend time with. Last week I wrote about why the world needs heroes, but what is it about Batman that makes him so special? You could argue that Superman is the most influential superhero because of his place in history and the ideals he represents, but Batman has surpassed him in the cultural consciousness. The Dark Knight is far more prevalent in contemporary film, television, and comics than the Big Blue Boy Scout, and those nicknames might indicate why. Superman is outdated, a relic of a more moralistic age that has struggled to stay relevant as the world changes. Concepts of Truth, Justice, and The American Way have been muddied by the actual actions of the United States over the past 75 years, but the philosophy of Batman is one that endures in any era. Batman is an ordinary human being who suffers immense personal tragedy and rises above it to become a guardian of others, saving them from the pain that pushes him to fight every day. Originally envisioned as a pulp vigilante in the vein of The Shadow, Batman was a regular person with a thirst for vengeance, but he proved incredibly adaptable as the comics industry changed following the creation of the Comics Code Authority. His attitude could be adjusted to serve a more juvenile audience, proving that even the worst childhood trauma can lead to a bright, happy adult life, and considering his beginning, it’s no surprise that Batman was at the forefront of the grim and gritty age of comics. Yet no matter the tone, his stories are always rooted in idea that human beings have the potential to persevere and thrive against overwhelming despair, an idea that becomes more and more important as the world becomes a scarier place to live. I live in Chicago, where three people were shot within a mile of each other yesterday afternoon. Last year, Chicago Public Schools closed 50 elementary schools, making it even harder for kids to access the resources they need to stay away from a life that may put them in the ground before they’re old enough to drive a car. And the city is putting money into a George Lucas museum rather than finding ways to fix these systemic issues. I’m certainly not the most well versed person when it comes to politics and economics, but to me, a casual observer, things look pretty dire. Batman looks out at his city, he sees the decay, and he takes action to eliminate it. Batman wipes out gang members so that they’re too scared to commit drive-bys. Bruce Wayne donates the money needed to keep those schools open, or build new ones to replace those that aren’t up to code. This is what Batman can do, and he does it after watching his parents get gunned down in front of him as a child. He may be a fictional creation that can’t do any of these things in the real world, but he sets an example that inspires us to be better people. If schools aren’t able to teach the next generation, maybe Batman can. 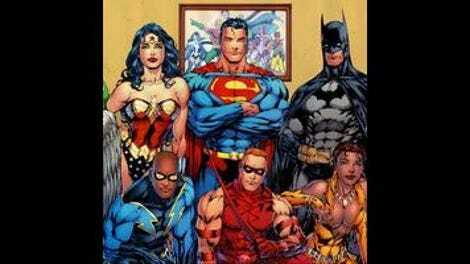 While serving as the government liaison to the Justice League (why oh why did we never see that future? ), Amanda Waller noticed that Bruce Wayne was nearing his expiration date as Batman. She ensured that the world would have a Dark Knight by collecting Bruce’s DNA and using it to rewrite the genetic coding of Warren McGinnis’ sperm, effectively making Terry and Matt Bruce’s sons. It’s a massive bombshell that dramatically alters the relationship between Terry and Bruce, but it also shows the frightening lengths Amanda Waller will go to create the future she believes is best. This woman saw the importance of this inspirational figure, so she used his DNA to give him a secret son, and then sent an assassin to kill the boy’s parents so that he would have a defining tragic moment. That’s some intense dedication to the cause, but eventually Batman’s example would show Amanda the error of her ways. In one of the DCAU’s best cameos, Andrea “Phantasm” Beaumont refuses to kill Terry’s parents because it’s against everything Batman stands for. Batman doesn’t kill, and killing in order to forcibly create a Batman is dishonoring the hero’s legacy. Terry comes to Amanda Waller thinking that Bruce has manipulated this all as some sort of insane ego trip, but Amanda reveals that this was all her doing after seeing the care with which Batman handles a catastrophic situation involving the Royal Flush Gang’s Ace. A hyperpowerful young girl who had been experimented on by Cadmus as part of its superhuman development program, Ace could psychically alter reality within a certain area, and she was about to suffer an aneurism that would kill anyone within miles of her location. Batman goes to confront Ace because he knows her from a previous encounter, but he doesn’t kill her like Amanda Waller insists. Batman doesn’t kill. Batman always finds another way. And in this instance, the other way is compassion. He offers Ace a hand to hold as she departs the mortal plane, calming her down so her aneurism doesn’t have any residual effect on the surrounding area and its population. 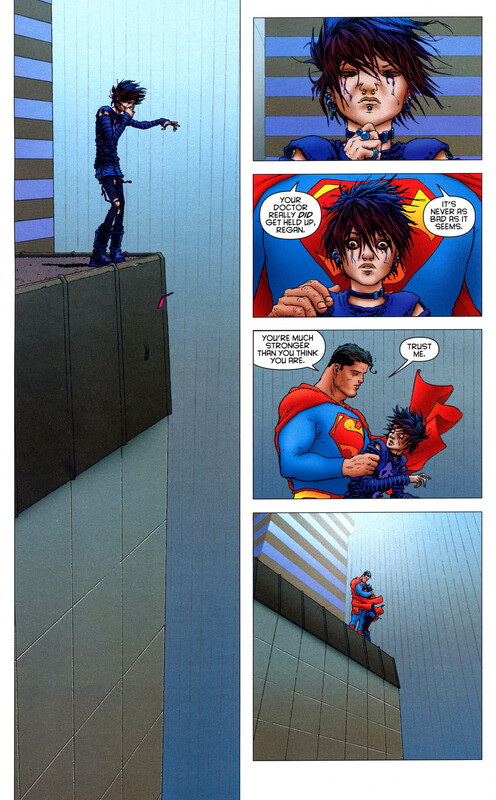 It’s a heart-wrenching scene that calls back to Bruce’s origins to show his softer side, making it Batman’s equivalent to Superman’s “You’re stronger than you think you are” moment in All-Star Superman. Interspersed throughout this episode are fantasy sequences that help to capture Terry’s emotional turmoil by showing worst-case scenarios for his relationships with Bruce, Dana, and the Justice League. These scenes have exaggerated dialogue (and exaggerated eye make-up on Bruce) to show that they are heightened encounters that Terry is imagining, but it’s not clear until the end of the episode if they are flashbacks or not. A shot of the clock that Terry had destroyed in his fantasy reveals that the black-and-white sequences were all in his head, and after meeting with Amanda, Terry has the confidence to move past those fears and insecurities to pave a new path for himself. Terry isn’t Bruce’s clone, he’s his son, and he should be forging his own identity while holding on to the important parts of his family legacy. With Bruce as his new Alfred, Terry is still going to be Batman, but he’s also going to be doing it with Dana as his wife. Bruce may have found personal entanglements distracting, but Terry understands that they are the things that keep him grounded, which is important when he has rockets on his shoes. It’s the best epilogue the DCAU could ask for: the world keeps the Batman it needs, and the Batmen get their happy endings. Because symmetry is awesome, the opening of “On Leather Wings,” the first episode of B:TAS, is reversed shot-for-shot in the final scene of “Epilogue.” Also, Kevin Conroy is the voice of the pilot that says, “Did you see that?” in both episodes! I love this episode’s Reference Royal Flush Gang: M.O.D.O.K King, Alice In Wonderland’s Queen of Hearts, Kabuki Samurai Jack, and Bo Derek in 10 as 10. I also love that the Queen of Hearts is actually an overweight man. Ace is voiced by Hynden Walch, so it’s impossible not to hear Starfire and Princess Bubblegum during her scene, which makes it even more sad. Also: the theory that Batman names his dog after Ace makes me very happy. “Bruce’s DNA was easy enough to obtain. He left it all over town. (Pause.) Not remotely what I meant.” Great line or best line?